This is National Seafood Month. It is a great time to recognize all the efforts put into restoration of marine habitats and creation of new habitats by Reef Innovations and its associates around the world. Please share below the seafood you have enjoyed. And what artificial reef module you collected it on. Photos would also be great! Living shoreline solutions around the world using a complex AR module. Contact us in your planning stages as we are happy to share research and information as you look for a solutions to your living shoreline issues. It could be the question of avoiding erosion by providing wave attenuation with a product that has proven success over the past 23 years. Starting with research sponsored by the US Army Corp of engineers in the 1990. 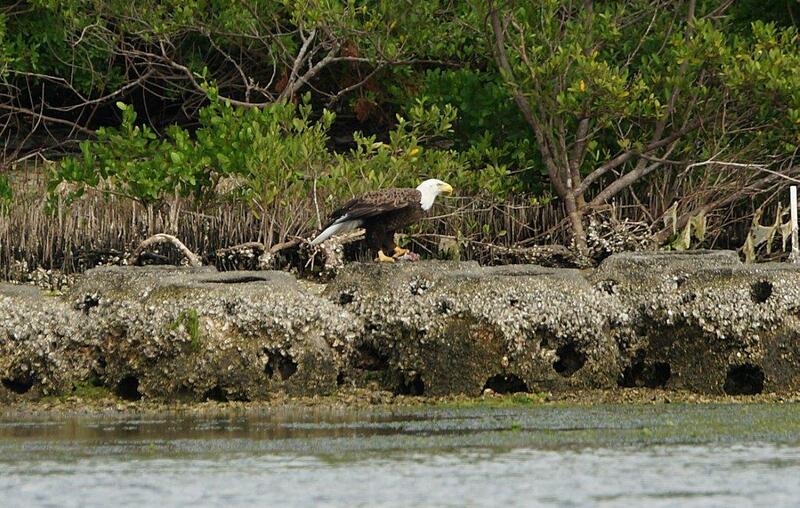 Or it could be similar to this project designed to protect an Audubon Bird Sanctuary in Tampa Bay. Aesthetics was an important factor in the design of Reef Balls. From the water it’s not a sore thumb against the shoreline. The above photo was taken 2 years into the project. Now phase two is underway with more Reef Balls. Sometimes the living shoreline solution may be a scattering of Reef Balls. This technique is proving EFH as well as the required relief for re-establishing oysters. 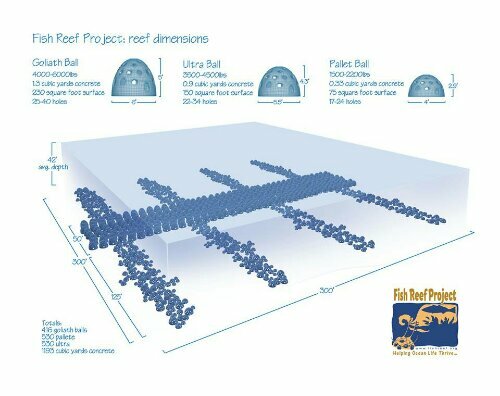 Reef Balls are the most effective living shoreline solution because of the complexity of the artificial reef modules design. Various shapes and sizes of holes, the concave and convex shape of the holes, the hollow center, all the surfaces are curved, adding a benefit in wave attenuation as well as providing the eddie currents for filter feeders. Complex artificial reef modules such as the Reef Ball have proven to provide a better habitat for crustaceans. Other studies have shown that complex AR modules can match the area’s existing habitat in biomass. Notice the opening around the base of the Reef Balls, when on field survey be sure to look inside, the diversity of fish and crustaceans will amaze you. The waverly base of the Reef Balls is often the location of stone crabs. Sooner or later a storm will cross your living shoreline. Research has shown that living shorelines add resilience. One of the key species that stabilize the shoreline are marsh grasses with roots that anchor to depths of 10ft. The catch is many shorelines have lost marsh grasses due to wave action from boat traffic. The marshes are typically not high energy coast, but to re-establish the marsh grasses wave attenuation is needed. Reef Balls provide that wave attenuation, the design of any breakwater system requires some in depth studies of wind direction, historic wave characteristics, currents and many other factors. Regardless, a productive living shoreline needs a flow of water. Reef Balls, allow that water flow and they have a track record of staying in place in large storms. SAG (submerged aquatic vegetation) is important to re-establish, however wave action also has an impact on these grasses. Existing seawalls cause a reflective wave adding turbulence on the seafloor. As the waves reflect from the seawall, they meet the next incoming wave and the resulting action is a doubling of the wave height, that also affects the bottom so stopping that reflecting wave is of high importance. A living shoreline solution for areas of seawall that you cannot move offshore to install the breakwater is Eco-Rap. First developed in 2015 these modules can be placed along an existing seawall providing wave attenuation, resilience and as a bonus you get IFH as well as crustaceans. The Eco-Rap in Palmetto, Florida helped in the restoration of sea grass beds close to the seawall. Additional research in seagrass beds has shown an importance of a rock outcropping for the juvenile stone crab to settle, in Florida placing a Reef Ball in a seagrass bed, is not readily accepted, but that is another things to think of as you working on the extended shoreline. The small microhabitats are proven to be a great form of restoration. 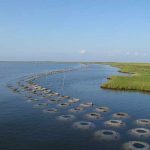 More information on best practices using Reef Balls will an oral presentation at Restore America’s Estuaries Conference Dec. 2016. Specific information on using Reef Balls for Shellfish Restoration will be an oral presentation at the International Conference on Shellfish Restoration in November. A B-26 missing in action was found and in 2016 a memorial was placed on the site with Reef Balls. 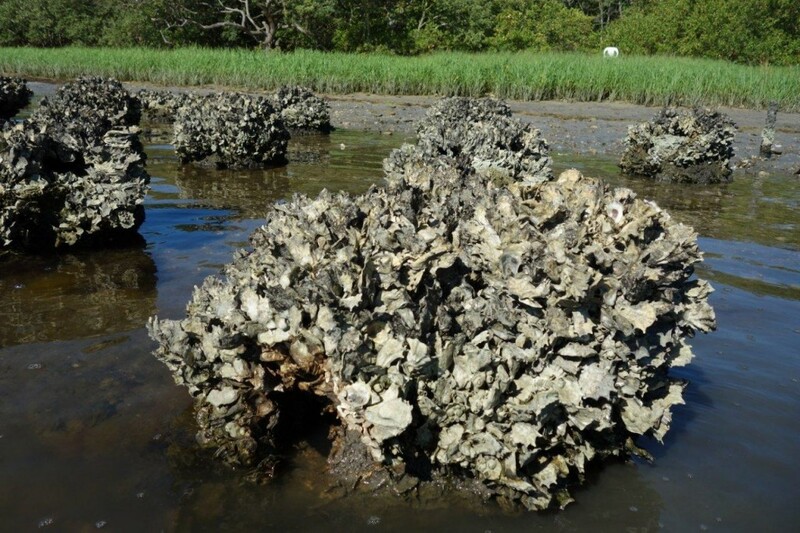 Oyster Restoration – surface area. With over 40 years of scientific observations and evaluations I concluded that surface area and relief are the two most important factors for success. Reef Balls have the best surface area and provide relief that has the best resilience for restoration projects. Plus, the formula for Reef Balls is inert, other products do not provide a structure suitable for as wide a spectrum of marine organisms. Until I find a better material I suggest using nothing else. 23 years of successes, and pages of scientific research provide the proof. Oct 2015 – Today is the release from NOAA of a Guide for people considering the use of living shorelines. Living shorelines can become more stable over time. Living shorelines have outperformed hardened shorelines during storm events. Living shorelines provide greater habitat function than hard shorelines. Living shoreline methodologies that avoid or minimize channel-ward encroachment into subtidal areas minimize these trade-offs. Reef Balls, have been successfully used as a Living Breakwater in various ecosystems, and at various depths. The importance of living shorelines is emphasized by the science community, NOAA, and the Army Corps of Engineers. It’s time for everyone living on the shore to look at methods they can use to restore a living shoreline in their area. We, all enjoy a visit to the beach, and most prefer to see soft white sand. 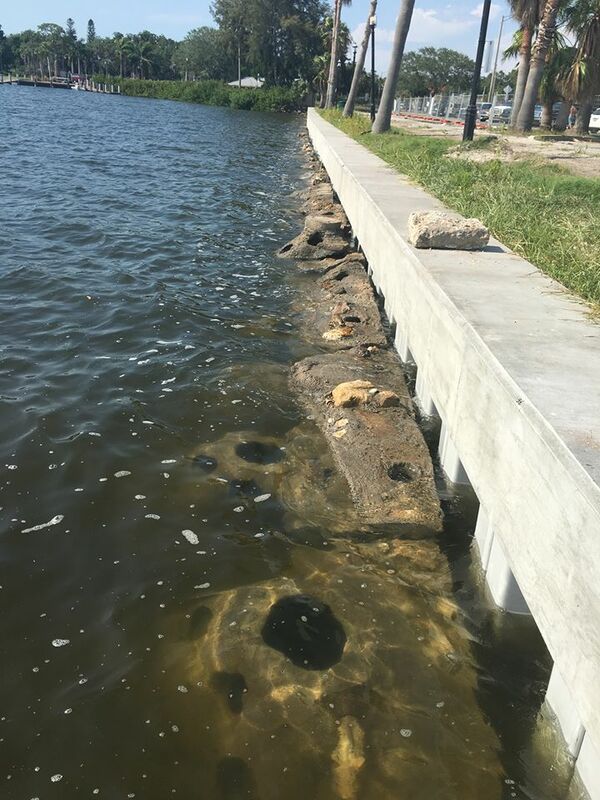 Dr. Lee Harris of the Florida Institute of Technology and a leading expert in submerged breakwater technologies has overseen many of these projects. Scientist pull up Reef Ball after 13 years in the Bay. 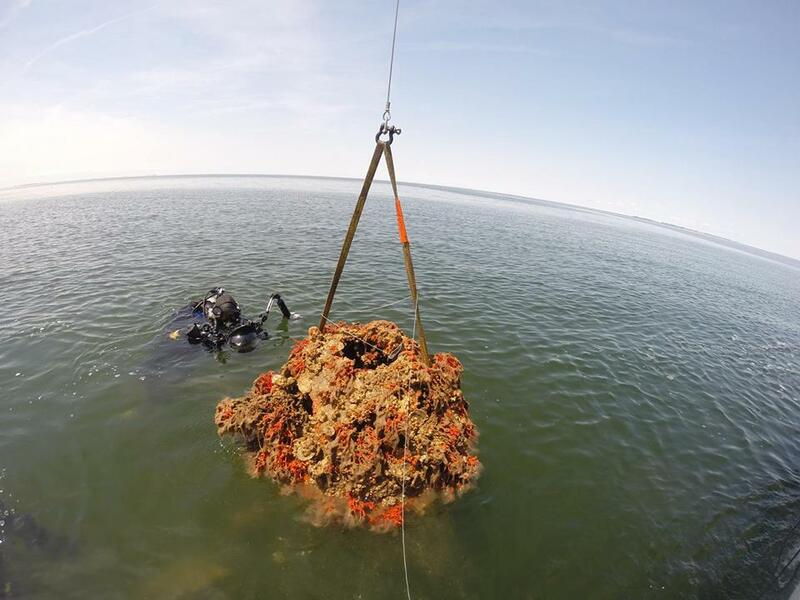 Scientists pull up living reef community thriving on a Reef Ball in Tangier Sound. This concrete Reef Ball was placed here 13 years ago with nothing living on it and now WOW! its covered in oysters, red bearded sponges, and dozen’s of other reef dwelling critters this is great news to see that artificial substrate like Reef Balls work to help save the oysters and save the Bay. This link will take you to the first of a two part video. This is a great presentation for government meetings, your fishing or diving club, home owner associations Or any group interested in caring for our oceans.